I just love three day weekends. I feel like I can actually have one day to relax. A bonus to this weekend was Friday. Students at our school have an early day, and then we (teachers) have collaboration time or meetings. I know the meetings are necessary, but then I feel behind in getting ready for the next week. Well, this past Friday we had time to collaborate and prepare for the week ahead. 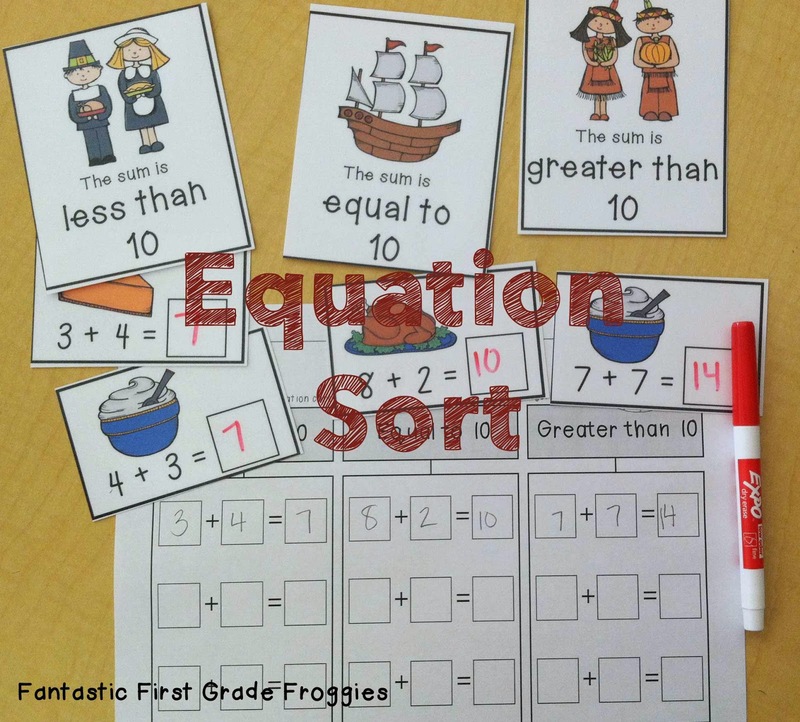 I was able to get my math tubs ready to go for Tuesday. Here is what is in them. 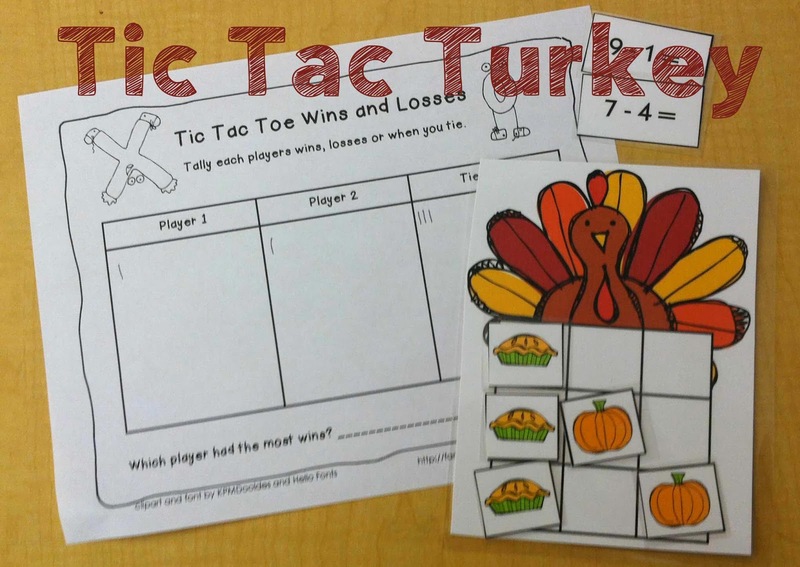 Tic Tac Turkey will be new to them. 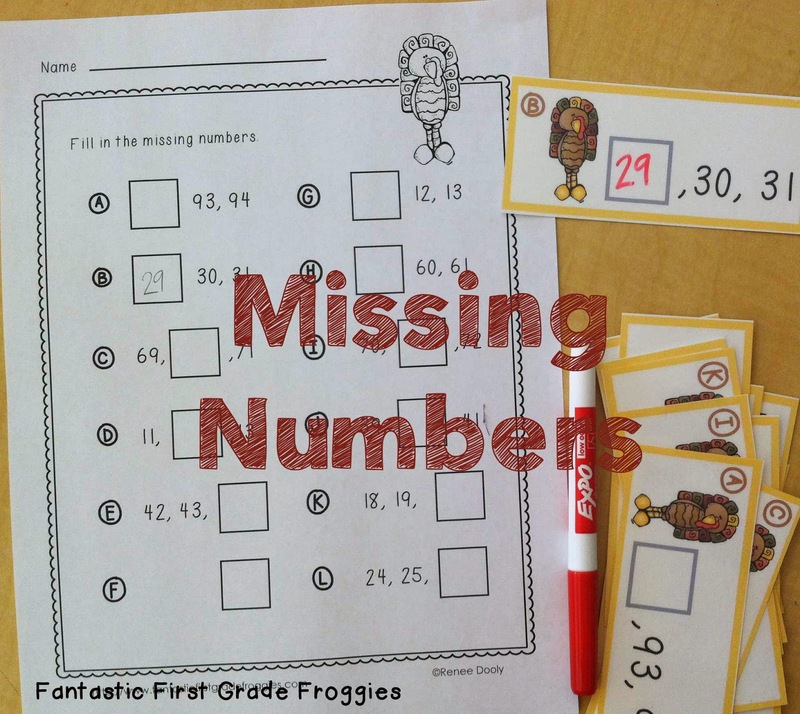 My kids love games, so I think they will love this addition and subtraction practice activity. 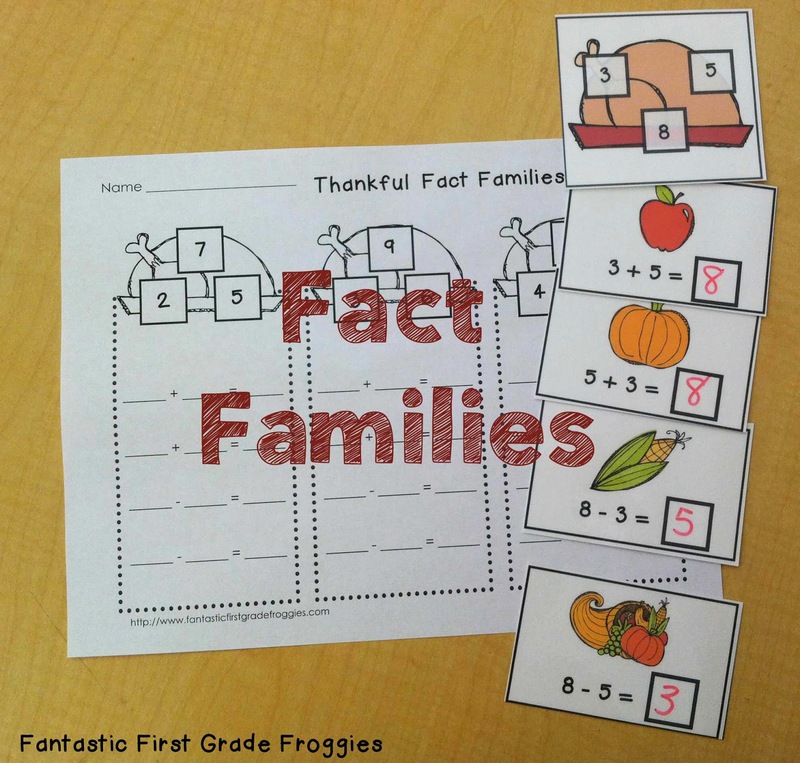 There is a some Roll, Graph and Do activities and a Find, Tally and Graph Thanksgiving, but for some reason I did not take a picture of them. 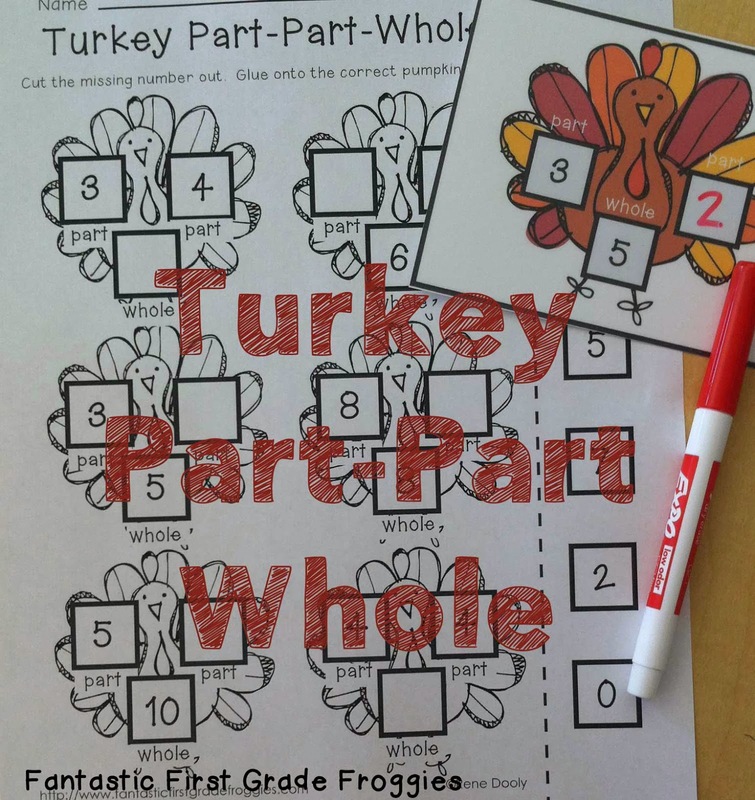 These are all in my Thanksgiving Math Center Fun, which is on sale this weekend! 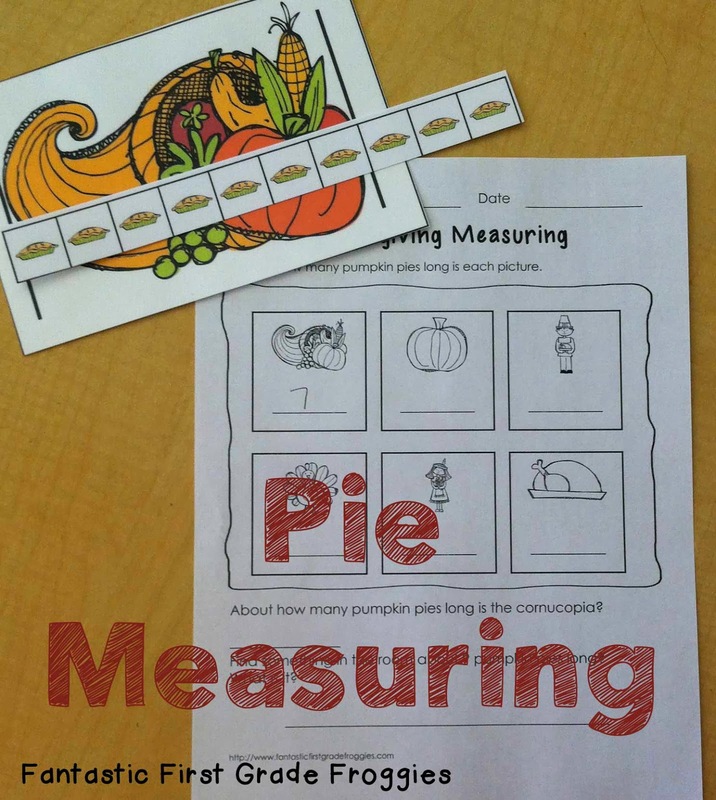 I really like your witch measuring activity. I can’t seem to subscribe. My information is taken but there is no way to send it. Hi Julie, I fixed the problem, so if you want to subscribe, it should work now. Thanks!